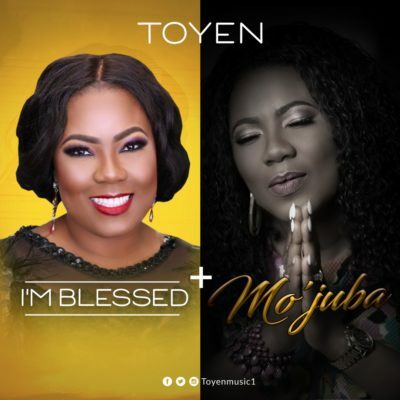 [MUSIC]: Toyen – "I’m Blessed" + "Mo’Juba"
Min.Toyen who recently celebrated a milestone birthday, also released her album “Honor the lord”. Today she decides to release “I’M BLESSED” based on the declaration of her mentor and her spiritual father Pastor Chris Oyakilome, stating that October is ‘Our Month of blessings!’ We are blessed in everything and everywhere. Also she releases “Mo’Juba” which means ‘Honor the lord’ is a worship song in Yoruba language, appreciating God’s continual reign in her life over the years. These Songs will usher you into His presence.